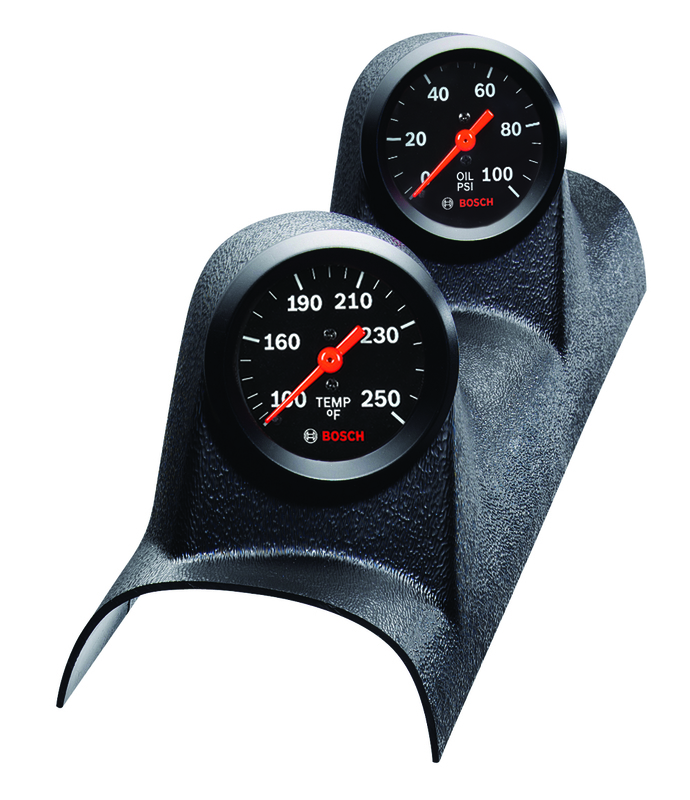 13" - 14" length the Bosch gauge pods let you add additional gauges to your vehicles a-pillar post quickly and easily for a clear view of engine vital statistics. Gauge pods are made of heat and U/V resistant (will not warp or fade) ABS plastic and are paintable for a custom fit and finish. Gauge pods fit all Bosch 2" gauges.